Ibrox Noise: Rangers forward: "I wasn't given a chance at Ibrox"
Rangers forward: "I wasn't given a chance at Ibrox"
St Johnstone’s on-loan Rangers winger Michael O’Halloran has admitted club manager Pedro Caixinha’s comments about him ‘weren’t great’ but says he has not paid much attention to them and is ‘moving on’ with his career. The Portuguese stirred the hive some weeks ago citing that the attacker was not his kind of player, and was not what he or Rangers needed going forward. 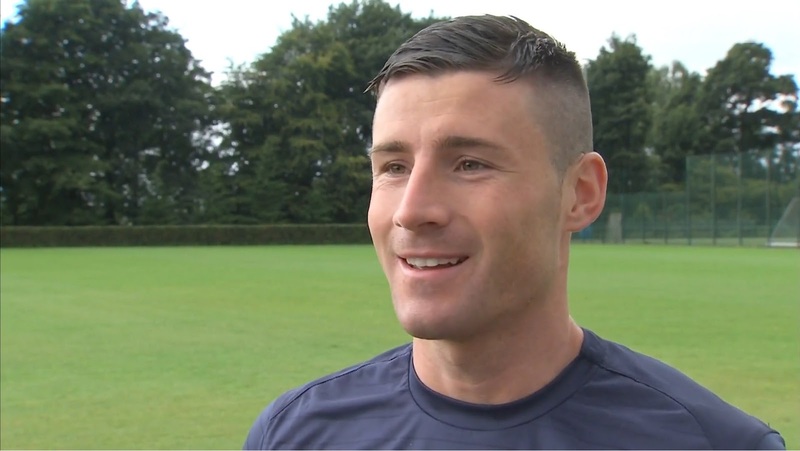 He essentially confirmed that O’Halloran’s career at Ibrox, under his management, is over, but the player himself has spoken today following his well-earned player of the month award and has stated how he is now enjoying his football and is appreciating the chance Saints’ manager Tommy Wright is giving him. O’Halloran has been superb back at his old Perthshire stomping ground hence his award, but despite that form Caixinha has rejected him outright. Just like his parent club manager, no mincing of words whatsoever. Whether the two can reconcile and find a working relationship at Ibrox again in the future remains to be seen, but for now, Rangers’ apparent loss is St Johnstone’s gain. He's fairly spot on really, barely used the guy two starts on the trot. No idea why, maybe his heart wasn't in it or a clash of personalities. The thing is he'd be a very handy player to have at difficult away grounds, his pace on the break. Shame, we'll never know if it would have worked out. Played him out of position and sporadically then moaned that he is inconsistent. Utter nonsense. Understand the no-show for a reserve game is poor stuff but can't blame the guy, sheer frustration. It's embarrassing...another reason to keep Pedro out of the media. Hope the lad continues to do well and we are professional enough to keep door open to his return. Its as simple as this guys! !Michael o'halloran WASN'T given a chance and a decent run of games! !Imho MOH can seriously hurt teams,IF you play to his strengths! !It doesn't matter what war of words caixinha & MOH have had in the past,because if moh is still performing superbly well for st.johnstone,then he has to be brought back to his parent club,glasgow rangers! !Any manager worth their salt,would bring back a player who's playing out of his skin,to enhance our squad!MOH will still have 30 months of his rangers contract to run,when his loan spell ends at St.johnstone! I heard that there is an option to buy on his loan deal. If true then we probably won't have the chance to take him back which seems likely given Pedro's comments. Hope he keeps scoring between now and January window, cause it looked and now sounds like he does not want to play here, and anytime he did he never looked interested.... so his continuous scoring will only enhance his selling price. He doesn't help himself though as he suffers from not having a clear best position. He's played the odd game as striker, then out wide, then back to striker. And even then it's not a consistent run in that position. Personally, if he worked a bit more on his finishing he'd be a good striker for someone but not Rangers. He needs to be able to use his pace but when Rangers play teams in Scotland he can't do that as teams sit deep in numbers. Thats why he does so well at Saints. Only interested on how he played for Rangers....and that WASNT good most times, so glad he is gone, like the rest who kicked out from club,cause they didnt show enough. I've been giving the michael o'halloran situation a lot of thought tonight,especially so,after reading michael's version of events!I still think he should have a future at ibrox especially if he continues to show the form he's currently showing,while on loan to st.johnstone!I honestly can see similar styled attributes in moh as to our one time winger come striker,peter lovenkrands!If we do bring moh back from perth,then it would do no harm in giving michael a chance to excell central,through the middle of our forward line!It worked superbly well,when big mcleish done it with lovenkrands!It proved a masterstroke!Like i said in my post on here earlier,a good manager worth his salt,would do whats best for the club and put everything else to one side!If that means he has to bring moh back to rangers in january and give him a fair crack at the whip,then so be it!Whats your thoughts on this ibrox noise and all other fellow bears? ?Should be interesting. Thing is Robert, Lovenkrands wanted to do well and play for Rangers and stuck at never afraid to turn out for reserves, O'Halleron to me, looked like he didnt want to be there and anytime he played looked disinterested? I have no doubt if all opposition (bar the beggars) did not play their usual 10-0-0 formation against us, MOH would have easily scored more goals for us. Nobody plays like that against St Johnstone, therefore giving MOH the space and time to play. Whereby our players are shut down swiftly and in numbers. A very interesting comment came from MOH. He intimated that he had to complete extra exercises to keep fit because he did not get much out of Pedros training sessions. Rangers players have been struggling the last half hour of games of late and some players look very sluggish, I just wonder if MOH has a point there? Interesting point. I've been thinking that Dorrans in particular looks to tire quickly in the second half and Windass has run out of steam too. I assumed it was because they were training too HARD, but not from what MOH says. I see he also denied he hadn't shown for the U20s, but "wasn't allowed to talk about it". Considering the dignified managers and they way they have conducted themselves in the past, I just think it smells a little off. Of course I support Ped the Mental and my Gers, but still concerned with shape and energy, as well as the insane tactical ramblings. But then, he's the one at a university in Portugal lecturing at the moment, so what do I know? Maybe taken his cue from Ped's comments on him, which I thought were pretty out of order. Just looked at his stats, btw- only started 15 league games with us in his whole time at Ibrox. 13 appearances from the bench. Scored three times. Only managed a maximum of four consecutive league starts. Guess it might be largely down to the "love in" he gets in Perth. Some players flourish with a cuddle. Not sure Ped is a cuddler.